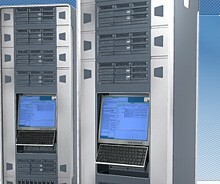 Web Hosting, Free Domain Name, Reseller Plans, Virtual Servers, Control Panel, 100% Uptime and much more. Over 5 year's experience and over 150 accounts, Microkinetic is amoung the choosen few. 24/7 suppport and no setup fees. Have your site online in minutes.